The story of three bricklayers is a multi-faceted parable with many different variations, but is rooted in an authentic story. After the great fire of 1666 that leveled London, the world’s most famous architect, Christopher Wren, was commissioned to rebuild St Paul’s Cathedral. Big Picture Thinking – Being able to see the end result and how your work contributes to that end. Attitude – A positive attitude and pride in what you are doing will show up in your work and your motivation. Connection to the Organization’s Mission – Employees who are rightly connected to the organization’s mission, vision, values, and goals are happier, more engaged, and more productive employees. While these applications are true and insightful, I find this story has another potential application. The story of the three bricklayers is also a metaphor on the power of purpose, where the “cathedral builder,” demonstrates a personal expression of purpose that transforms his attitude and gives a higher meaning to his work. Another term for purpose we use in ministry circles is “calling.” For the first bricklayer, building the wall was a job. For the second bricklayer it was an occupation. For the third bricklayer, it was a calling. A calling reflects our universal need to matter, to influence, and make a difference in the world around us. Victor Frankel made this clear in his book, The Meaning of Life. He wrote about how some people survived the holocaust, but so many didn’t. One of the things he identified was those who had a purpose or reason to continue to live that was beyond themselves tended to survive, while those who were focused primarily on themselves did not. Those who survived found some meaning in their painful circumstances. The meaning they found was in caring for and helping others in this horrible experience. 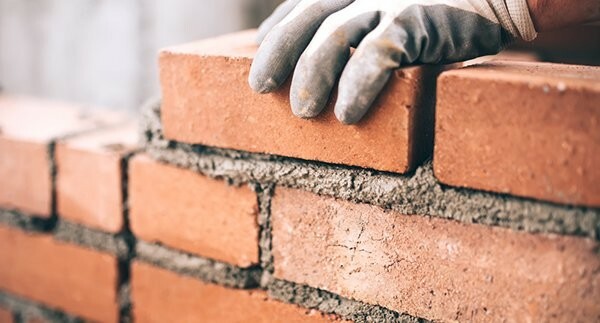 The story of the three bricklayers can also be used to illustrate the responsibility of leaders to encourage others to find their “cathedral,” and to help and support others in pursuing and building their “cathedral.” We are uniquely created by God for a specific purpose at a particular time in history that no one else can fulfill but us. As church leaders, we need to wrestle with the questions, how do I move people from where they are to cathedral builders? How do I help people discover their God given purpose at each juncture in life’s journey, and resource them to live it out? It is rare to find someone like my friend and colleague, Jim Baker, who has proven expertise in all the organizational aspects of church ministry [staff development, ministry programming, administration, finances, fund raising, multi-sites, etc.] as well as leading and excelling at the greater work of ministry – shaping all of this for the making of mature disciples of Jesus. Jim is a cutting edge explorer of what it means for churches and their leaders to be missionally transformational while developing best practices organizationally. And on top of all that – he embodies it!